The vehicle used by the suspect in the shooting of a Rio Grande City lawman is seen Wednesday in Starr County. 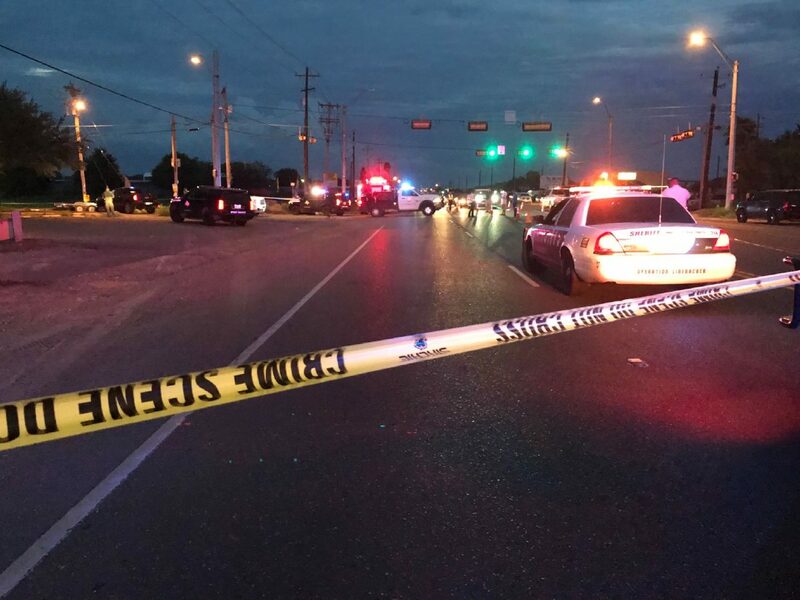 A Rio Grande City police investigator was shot Wednesday evening during a struggle with a man who attempted to take the lawman’s service-issued gun following a pursuit, according to Starr County District Attorney Omar Escobar Jr. The investigator, assigned to the multi-agency High Intensity Drug Trafficking Areas task force out of Starr County, was transported to a local hospital at about 6:30 p.m. He is expected to recover from the injury to his hip area. Multiple agencies, including the Jim Hogg Sheriff’s Office, U.S. Border Patrol, Texas Department of Public Safety and Starr County District Attorney’s Office pursued the man from Jim Hogg County into Starr County. Authorities received information indicating the man was smuggling immigrants not authorized to be in the country, according to Escobar. 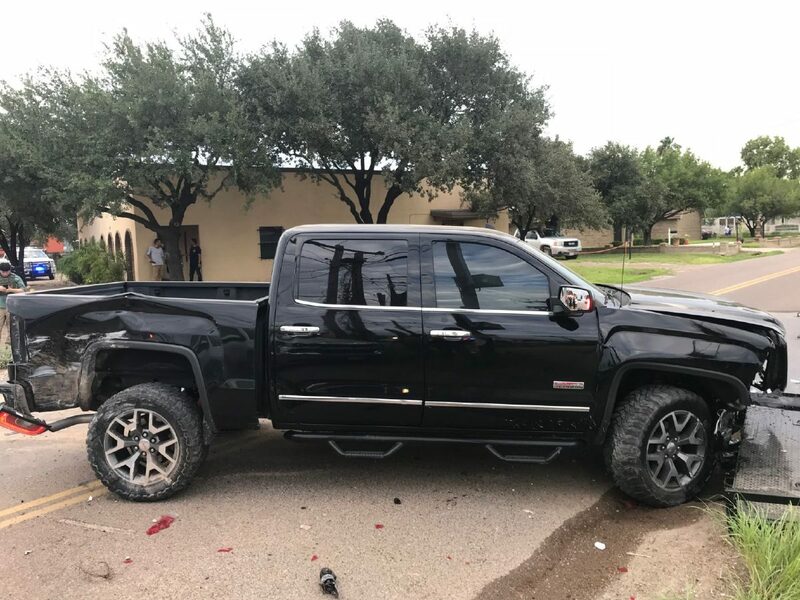 The driver refused to stop and ended up crashing into a vehicle at the intersection of U.S. Highway 83 and Alvarez Road near Rio Grande City, according to Escobar, who said the investigator’s weapon discharged during a struggle while the two were on the ground. The scene where a Rio Grande City police investigator was shot Wednesday night in Starr County. The man, whose name has not yet been released since charges are pending, gave a false name while under arrest, according to Escobar. The case remains under investigation by the DA’s office and Texas Rangers.